Fuchsia Crewneck Tee Only $14.99! You are here: Home / Great Deals / Fuchsia Crewneck Tee Only $14.99! I think all shirts should have 3/4 length sleeves! 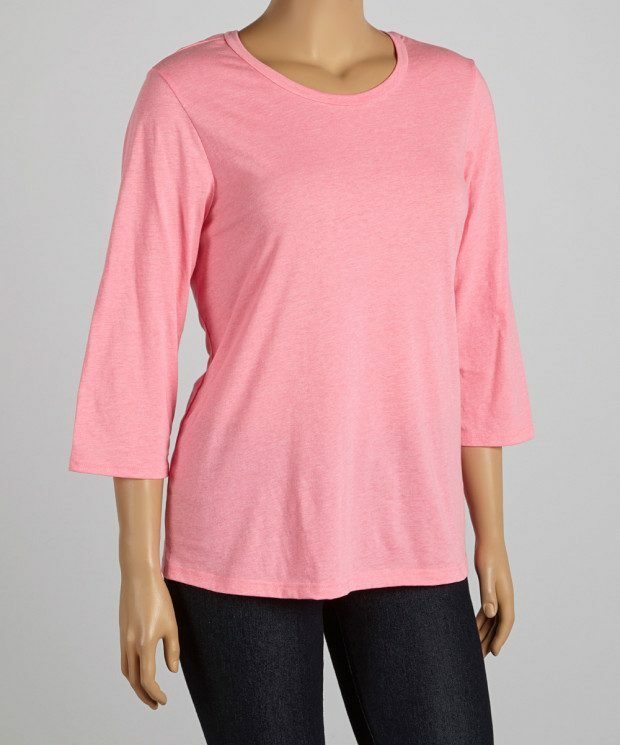 This light weight, cotton-blend Fuchsia Crewneck Tee is Only $14.99! This comfy number boasts a solid shade and a flattering silhouette!